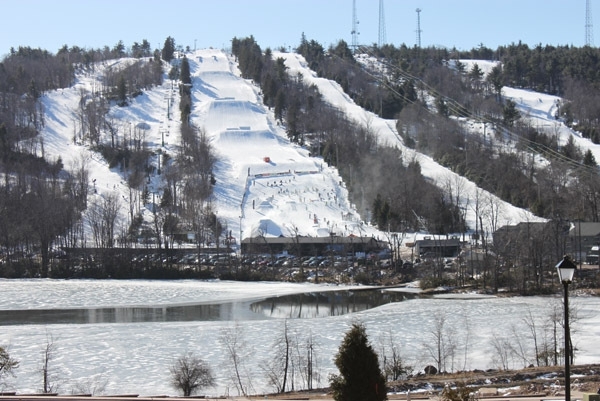 Rick's Pocono Blog: Enjoy Winter Time Pocono Resort Fun! Jack Frost Ski Mountain- Come explore the premier Pocono Ski Resort Condos any time of year at Jack Frost's Snow Ridge Village, where snow comes first. Located in the scenic Pocono Mountains of Northeast Pennsylvania, Jack Frost's Snow Ridge Village Townhome Units are the ideal destination for your next winter retreat or summer get-away. Homeowners Can Join The Mountain Lake Club and enjoy fishing, swimming, boating, pool, beach and tennis courts so even though you Think Snow when you Think Jack Frost, it isn't just for Winter Anymore! Conveniently located in quaint Lake Harmony, PA right off of PA Route 903 this legendary area of the Poconos offers to its homeowners use of the 175 Acre Big Boulder Lake and some awesome views of the Ski Slopes at night. There are 15 Ski Trails and 6 Tubing Chutes For Winter Fun! Big Boulder and Jack Frost are one of the many Pocono Resorts filled with fun for All Seasons!